A major blind tasting of Champagnes last month saw lesser-known labels from the region’s cooperatives score better than famous bottles of branded fizz. This year’s Champagne Master was Egérie de Pannier 2006. Costing £75, the Pannier prestige cuvée is far from cheap, but amazing value relative to other special blends in this top-end Champagne category, from Dom Pérignon to Cristal. Among the seven Champagnes that gained a Gold medal or higher in the Brut Non-Vintage category of 2018’s Champagne Masters were two bottles that hailed from the French appellation’s cooperatives – those producers who are owned and run jointly by its members, who are growers. Rubbing shoulders with the likes of Veuve Clicquot Yellow Label and Charles Heidsieck in this year’s Champagne Masters were Champagnes Palmer and Pannier, two first-rate brands owned and run by cooperatives. Such Champagnes were placed ahead of more illustrious labels, such as Champagnes Pommery and Laurent-Perrier, which come with higher prices too. Meanwhile, taking home the ultimate accolade in the vintage Champagne category was another cooperative label, with Champagne Castelnau achieving a near-perfect score for its release form the 2006 harvest. Within the same category was a further stand-out wine from a cooperative, with the 2008 vintage from Champagne Chassenay d’Arce – a growers’ co-operative based in the Aube – picking up a Gold. 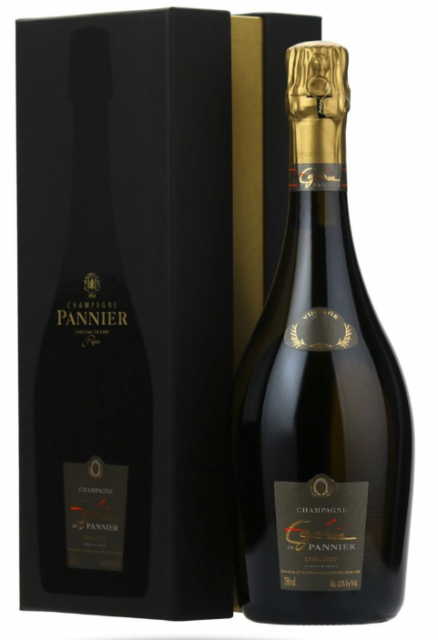 Costing £75, the Pannier prestige cuvée is far from cheap, but amazing value relative to other special blends in this top-end Champagne category, from Dom Pérignon to Cristal, which can retail for almost double the price of the Egérie. Among other cooperative Champagnes that performed well in the 2018 Champagne Masters were labels from Nicolas Feuillatte, Montandon and Jacquart, which each picking up Silver medals for a range of cuvées. Although Champagnes sourced from growers’ cooperatives are often believed to be of lesser quality, the tasting in August proved that such producers can achieve outstanding results, and even make superior cuvées than the famous Grandes Marques, despite the lower prices generally charged for cooperative brands. As proved by the blind tasting, Palmer, Pannier and Castelnau are definitely three names to seek out for those looking for an outstanding ratio of quality-to-price in Champagne, along with the larger cooperative brand of Nicolas Feuillatte, particularly for its vintage and blanc de blancs expressions. Although not tasted in this year’s Champagne Masters, further quality-minded cooperatives include Beaumont des Crayères and Mailly Grand Cru – with the latter’s winemaking formerly run by Hervé Dantan, who is now cellar master for Champagne Lanson. A full report on all the medal winners in the 2018 Champagne Masters will feature on thedrinksbusiness.com and in the magazine shortly. How to get the list of all samples tasted please?